Nilfisk gives 5 years of motor warranty on all vacuum units. With a Nilfisk Central vacuum cleaner you can be sure to have the best quality. All products are tested to last for many years. 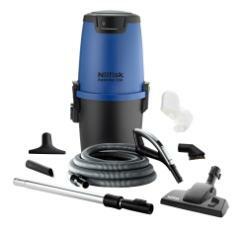 To give you the best service Nilfisk gives 5 years of motor warranty on all vacuum units. Not only vacuum units are tested to have the best quality. Example the wheel at the Nilfisk combination nozzle is tested to run a minimum of 500 km.